Labfolder is the easiest way to document your research and to organize your protocols and data. 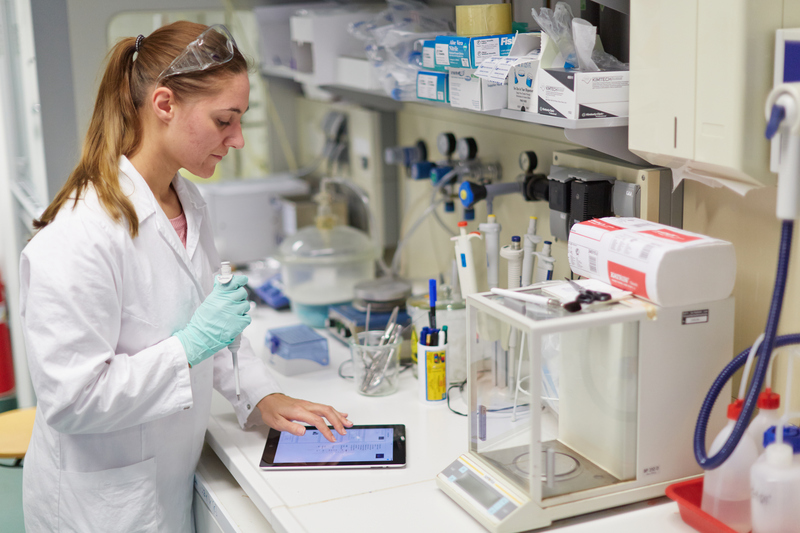 Whether you want to use your smartphone to take notes, have all your data organized in one place, or collaborate with colleagues - labfolder is an essential part of your laboratory equipment that helps you to accelerate your research! Do you ever find yourself desperately flicking through your lab book or note pile searching for the details of an experiment you did several months ago? Or trying to find that perfect blot, which took you weeks to get? Even if you are the most organized of researchers, finding information and results in traditional paper-based labbooks can still take time and effort, making data reuse and data sharing complex and time consuming. Include the added problem of multiple digital storage locations and lack of backups, and managing your data can turn into a real headache. But are there any viable alternatives to the traditional paper notebook? Labfolder is a free digital labbook that allows you to store, organize and analyze your scientific data in a digital format, accessible anytime and anywhere. For those of you who are already used to the lab notebook, the design and interface of labfolder should make you feel right at home, while allowing you to keep all your information, from experimental protocols and observations to data files, all in one place. In labfolder, you can keep different lab notebooks for different projects. In all project notebooks, you can enter your notes, tables, drawings and comments alongside with any kind of files and data formats like images, PDFs and other document types. 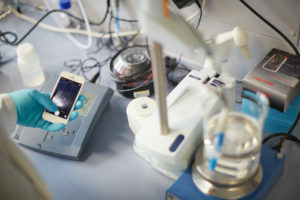 For example, you can digitally record the results of your 2-D gel electrophoresis with your smartphone; then upload the image instantly via an app directly into your digital labbook – without needing to cut and paste the image by hand as required when using a common paper notebook. In order to further simplify the documentation of data, labfolder also contains specific template functions that allow you to store the research protocols you regularly use. Another benefit of labfolder is that all functions are entirely free for individual scientists and small groups, while advanced functions for the management of larger groups and enterprises are offered for a monthly fee. Say goodbye to frantic searches through piles of notes and old labbooks; because labfolder is digital you can quickly search all your notes and data as well as easily share them with colleagues. 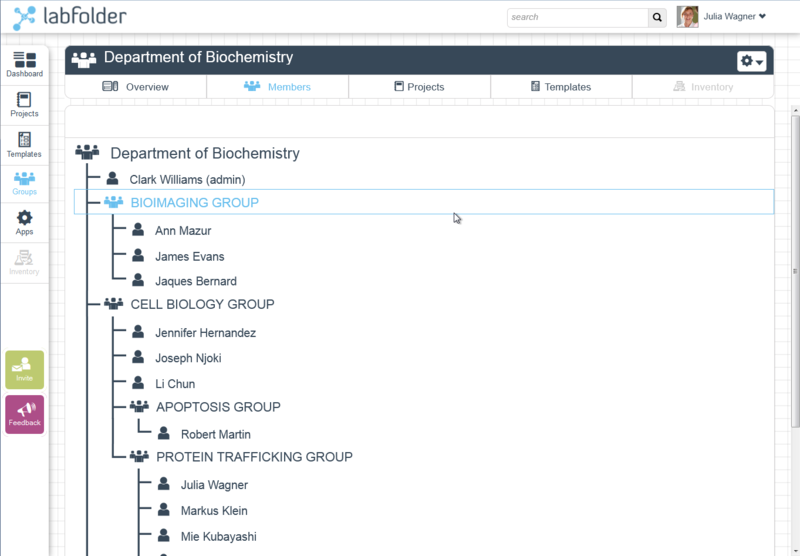 With its group features, the labfolder software also facilitates communication and collaboration amongst researchers. With the group functions, you can create private groups and invite fellow researcher to collaborate with you on labfolder. Within these groups, all members can work simultaneously on shared projects, exchange data and knowledge such as protocols and images as well as ‘chat’ about specific research topics and exchange comments and ideas. 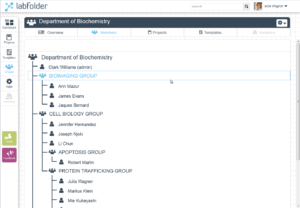 Labfolder also enables you to link and exchange your data with other well-known and widely used platforms including Mendeley and figshare, with more services being integrated in the future. Because labfolder is a cloud-based app you can access your data and notes from any device, anywhere. Your notes are kept up-to-date across devices by regular synchronization and all data is backed up nightly, so you can sleep easy knowing your data is safe. 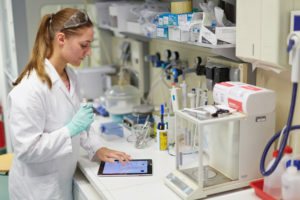 In addition, labfolder satisfies all regulatory demands, as this digital labbook is compliant to the rules of Good Laboratory Practice (GLP), providing a full audit trail and digital signatures for maximum intellectual property protection. In addition, all entered information is instantly retained in a secure electronic archive, with all your data being encrypted for maximum information security. With labfolder available on all Android and iOS devices, there is no need to worry about falling behind on your labbook even if you need to be mobile. The free mobile app allows you to use your iPhone or smartphone, tablet or iPad as a digital lab notebook, providing access to and management of your data wherever you are, be it a conference, science fair or your local coffee shop. Sounds too good to be true? Give it a try and share your experience; you can download the app from the iTunes App Store. Labfolder is constantly improving its user experience, so please share your feedback with us to help us improve lab documentation for you and your colleagues!